The Plaza is a Busy Place! Participate in a free fitness classes on the Plaza brought to you by No Excuse Workout. All classes run from 7-8 pm except Saturday morning yoga that runs from 10-11 am. Nothing says summer like an evening under the stars—and there’s no better way to enjoy the season than a date night at National Harbor. Join us on the Plaza every Thursday night – Date Night Style – and Sundays – Family Night Style! Please note that movies will begin at 6 pm on Sundays and 7 pm on Thursdays and will be shown once, so end times may vary with each movie. Double Features start at 4 pm. A schedule of movies to be shown can be viewed below. World-class performances by bands from the nation’s Armed Forces at National Harbor will stir the hearts and souls of civilians and military personnel alike, while their tuneful stylings in a variety of genres please music lovers of all ages. Don’t miss these FREE shows on the Plaza stage. *Please note that times/dates may be changed or cancelled due to weather. Updates will be made via social media, so please make sure to follow the Harbor on Facebook, Twitter and Instagram for the latest updates! Miller Farms Farmer’s Market returns to National Harbor with their wide array of fresh fruits and vegetables, baked goods, beautiful flowers and plants, and much more. Located on American Way by the fountain. Miller Farms is a 267-acre farm in Clinton, MD that has been family owned and operated since 1840. 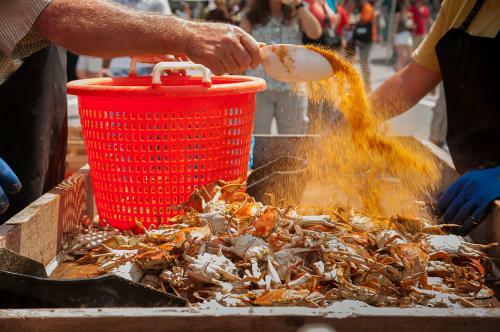 Join thousands of your new BFF’s at the all-you-care-to-eat taste extravaganza complete with over 65,000 crabs, lots of beer, crafts, live music and much more! 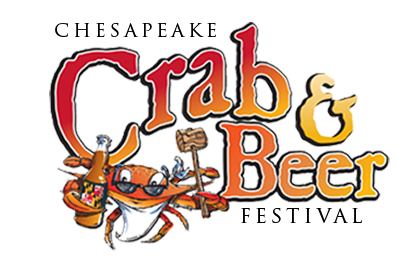 Tickets available at mdcrabfest.com and at the door. Discounts on tickets purchased prior to the event.